As some of our readers know, I’m a huge fan of Million Dollar Listing and the various cast members. 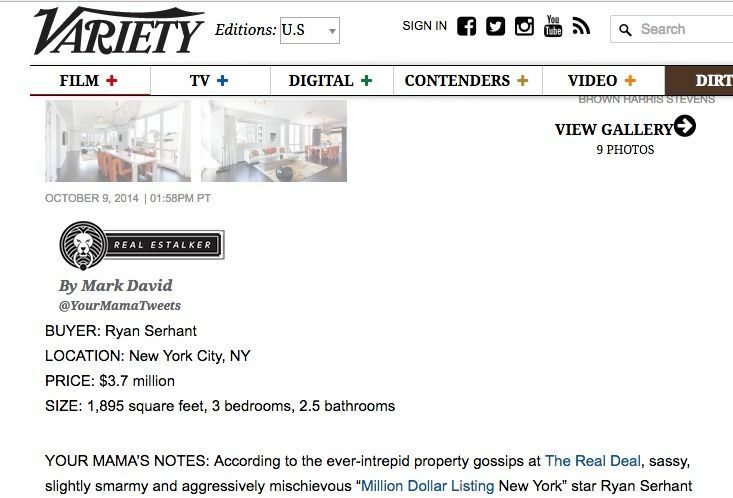 Ryan Serhant is a name everyone in real estate knows and today I saw this on his Facebook page. I’m glad to see this topic get covered. Sites like StreetEasy, Zillow and Trulia are definitely very useful tools for consumers and brokers alike. However, as we can see there are hiccups in the system here in Ryan’s video. This is not the first time sites like these have come under fire, however, they’re not going anywhere. Our agency does a massive amount of high level SEO for real estate agents and the main issue is always outranking these industry heavyweights. It isn’t easy, not even for brokers like Ryan who have serious authority in Google thanks to all the press he and his team have got over the years. With that being said, Ryan and other power brokers like him are in a position to do SEO battle with the likes of StreetEasy. Over the years these sites have built up so many backlinks and hundreds of thousands of content pages mostly from other people’s content. What can YOU do to combat this? So after watching his videos and sitting down and thinking, “could I drop these services and thrive?”. The answer is yes, but it will take time, execution and of course a bit of money. Ryan’s website is already built very well, he has a ton of backlinks and his social media game is on point. While I may come off with a bit of a brown nose here, the fact is they’ve done a great job. I cannot knock his marketing team, however, sometimes a fresh pair of eyes is a good thing that can lead to new and exciting things. Since he has the courage to speak up on a topic that is definitely going to get him both praise and flak in the coming week, I thought I could share some of our knowledge. To those brokers who are killing it in their market, let this be known: You have a significant advantage to even further dominate your market online. 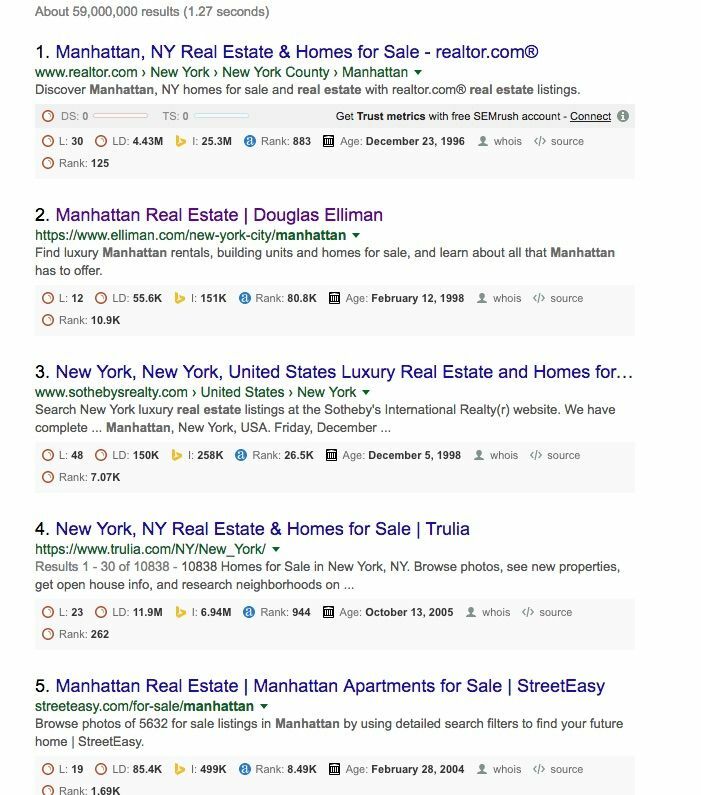 Outranking Zillow or Street Easy is no easy task and it will require that your website is more relevant, has better content and your site’s backlinks are top notch. This is not a formula even most top brokers have completed yet, even Ryan Serhant himself. We can see here the field is tough but if you’re a top broker in your area you can be on the top of these results within 6-12 months depending on your effort and or budget. This will also give time to let Google know you’re the top source for luxury real estate in your area. Hint: It is possible to outrank them! Your website is your mark online and in order to rank at the top for a very competitive keyword you’ll require a solid foundation. You’re in territory where not only do backlinks play a significant role, but your content and overall user experience (UX) are just as important. While Ryan’s website looks great, I can quickly see a few things that will hold him back from ranking with the best of them. I’ll keep it point form and easy enough to run down for yourself to see if there are a few changes you need to be making in your marketing strategy. This would be the first few steps to create a more sound user experience and website that will serve the client’s every need. If you want to drive those potential clients away from Street Easy or Zillow, you’re going to need to compete on or above their level. The toughest aspect of the SEO game is acquiring (mostly natural) backlinks from high quality sources in your industry. 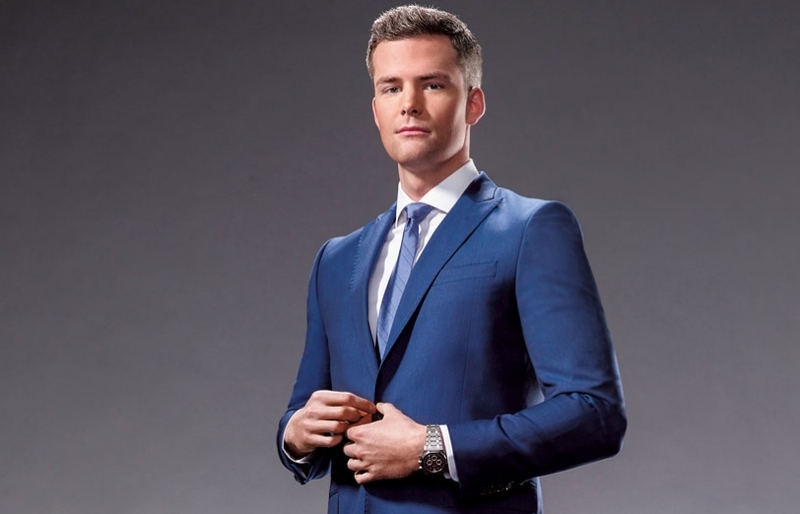 Ryan Serhant is not only a top agent with a great team standing beside him, but he’s also a celebrity. This is a secret tool other agents won’t have, but it can only get him so far. Pro Tip: Your amazing and lavish luxury listings on your site are going to force the links to yours, not another website. Acquiring links and doing a bit of link building yourself (minding Google’s rules) is an on-going battle that takes a lot of time and effort. If you’re in the spotlight often then you’re in luck because it will be much easier than it is for your competition. You don’t have to be a celebrity to get mentioned in the press, you just have to be crafty. However, Ryan has missed out on many backlink opportunities including this example from Variety.com below. Journalists often forget to link to sources so be diligent and reach out to them to put that link in. Besides his celebrity status, what can you do as a luxury broker with a healthy marketing budget to get the job done? By now you’ve most likely been featured in the press, you’ve done business citations and have bloggers linking to you for various property coverage. How many links will you need? While it’s all about quality over quantity, you’re going to want to get – hopefully after a year – thousands of new backlinks from various sources. You have to really treat each great listing with care and make sure it’s doing its job and scoring new high quality links. Over time this will build you up all the links you’re ever going to need. This is the tricky part as it all depends on where your website is at in terms of on and off-page SEO. If you would like to have me take a look at your market and give you a difficulty report completely on the house, then get in touch. This comes at no charge and will give you a clear idea of what it will take to outrank the heavyweights in Google. Learn more about our luxury real estate marketing services or contact us by clicking here.